A couple of weeks ago, I was invited to try out the halal dim sim and boat noodles menu at the all new Dodo Dim Sum and Bowls in Subang Parade. Dodo Dim Sum and Bowls is a part of Ri-Yaz Global Good Brands, a subsidiary of the Ri-Yaz Group. Aka the same group that owns Dash Resorts Langkawi. We were treated to a cosy setting upon entry with bright artworks donning the walls. As we slid into our table booth, the waiter immediately came over with glasses of refreshing lemongrass drinks and a quick explanation of what we will be dining on that night. We were served with the staple traditional Lo Mai Kai, Spicy Chicken Feet, Siew Mai Dumplings, Har Gow (prawn dumplings), Charcoal Custard Buns with salted egg yolk filling, Minced Meat Dumpling with green chives and Honey BBQ Chee Cheong Fun. Of course the camera ate first and by the time we dug in, the stomachs were growling. Thankfully there was also a helping of Stir Fried Radish cake done Dodo-style, Crispy Mashed Taro Pie, Woh Tip Dumpling with shredded gingers and vinegar and the all time Chinese restaurant favourite dessert - fried Shanghai pancake. There were hits and misses with the dim sums dishes. While presentation was on point, I found the siew mai skin a tad too thick and the Lo Mai Kai flavoured with something that taste like instant cup noodle seasonings. The Charcoal Custand Bun lacked the gooey watery texture often associated with well blended salted egg yolk custard. However there were some dishes I wouldn't mind dropping by for again. My personal recommendations are the Radish cake done Dodo-style, Crispy Mashed Taro Pie and the Shanghai pancake. 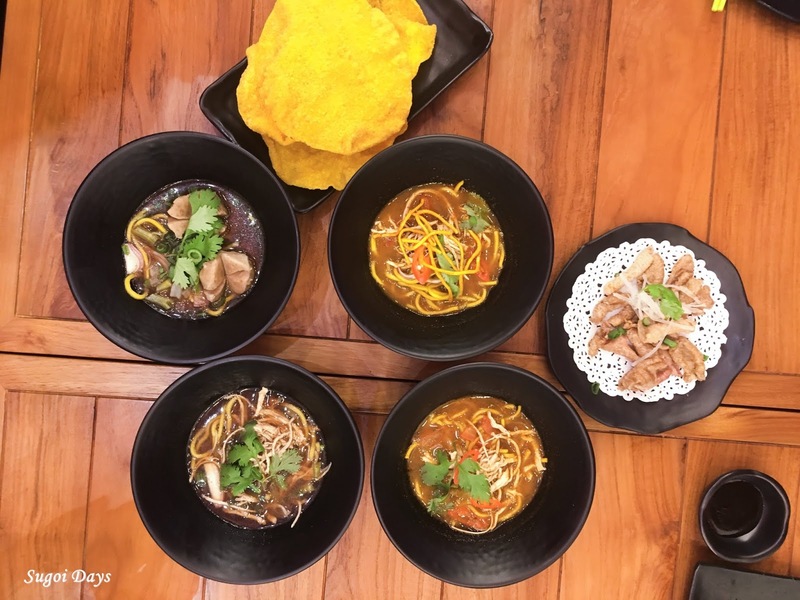 If you're hankering from something Thai and/or sweet and sourish, Dodo Dim Sum and Bowls also has you covered with their rendition of Thai broth Boat Noodles and the usual Thai street food by Chef Khun Ben. For boat noodles, we were served with four choices of soups: Nam Tok, Khao Soi, Tom Yum and Nam Sai. Customers are able to customise their boat noodle type and soup base to suit their tastebuds. Aside from that, we were also given Khao Klukh Krapi shrimp paste rice, Crispy Som Tam, Gai Pad Prik Pao chicken wings and Mango Sticky Rice. Once again, hits and misses were bound to happen. The boat noodles were reminiscent of maggi mee soup. The rest however weren't too bad. I particularly enjoyed the Crispy Som Tam aka crispy fried wanton skin which was a cut above the rest in terms of flavour and texture. Even as I write this review, I can still recall the crunchiness of this snack and how I wished it was sold closer to my house. The mango sticky rice was delicious although the mango was on the sourish end. I guess this is subjected to their sources. My recommendation - the Crispy Som Tam. Prices range from RM9 onwards for the dim sum dishes while the Boat noodles are RM2.30 per bowl. The Thai dishes start from rm14 to RM20. Price-point wise, it was pricey by dim sum standards but a price some might be willing to pay to enjoy a blend of chinese and thai food in one location. As I mentioned there were a few things that Dodo Dim Sum and Bowls did very well and a few aspects that could be improved on. I will give props to the attentive staff for explaining the dishes as they arrived and also constantly checking in on us throughout the evening. Dodo Dim Sum and Bowls believes in making the eating experience more interactive and fun with ongoing interaction with customers through Facebook and Instagram activities. 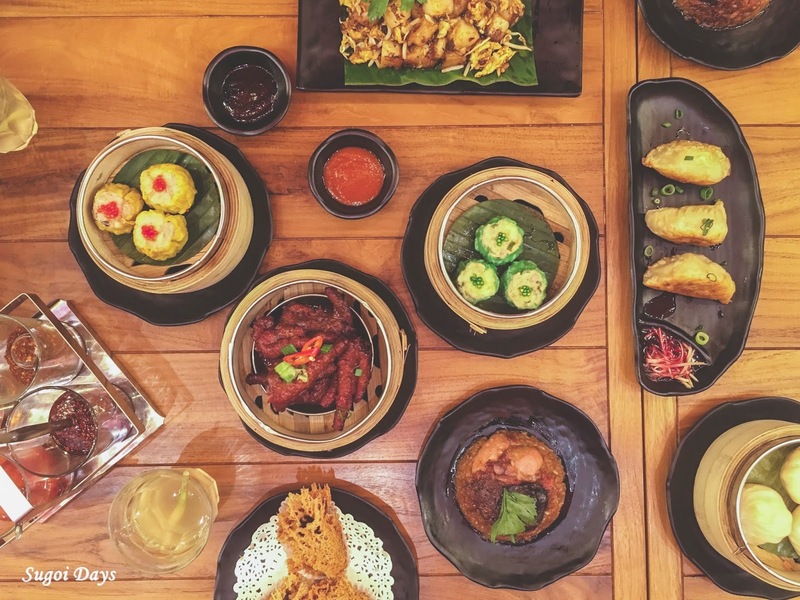 There will be fun contests, events and activities and menu updates, where loyal customers can enjoy special offers as part of the Dodo Dim Sum and Bowls community. 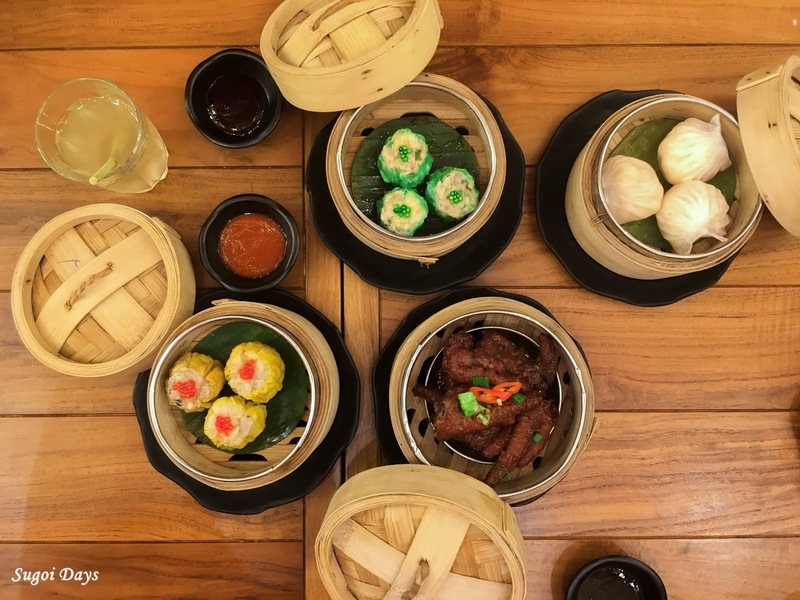 The Subang Parade outlet is but the first of many outlets for Dodo Dim Sum and Bowls as Ri-Yaz Global Food Brands has plans in the pipeline to launch more Dodo Dim Sum and Bowls branches at popular malls in the Klang Valley. So stay tune. For more information about Dodo Dim Sum and Bowls, visit http://dodo.my/ and join the conversation on Facebook at https://www.facebook.com/dododimsumbowls and Instagram at https://www.instagram.com/dododimsumbowls.